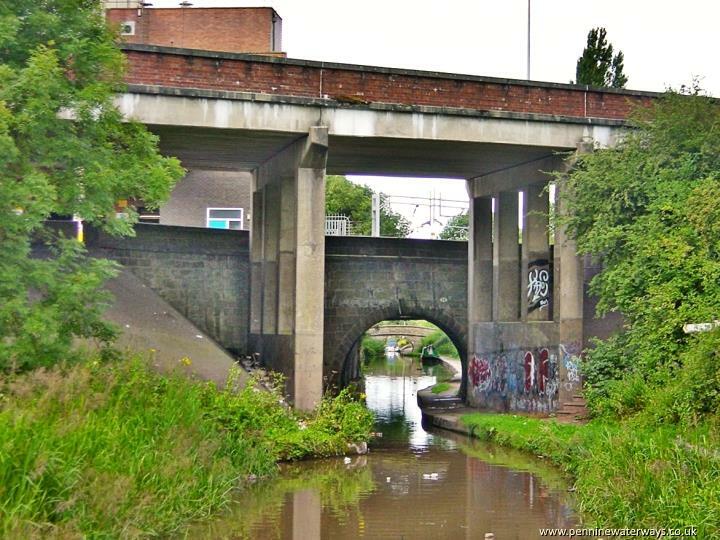 Park Lane Bridge and the newer Flyover Bridge at Congleton. 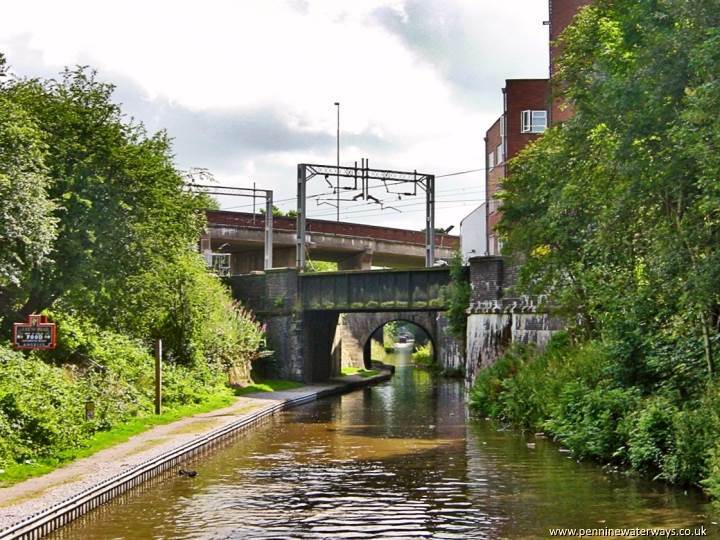 The railway also crossed the canal just beyond. The Flyover was built to take the main road across the busy railway without the need for a level crossing. Park Lane Bridge, Congleton, seen from below the railway bridge. 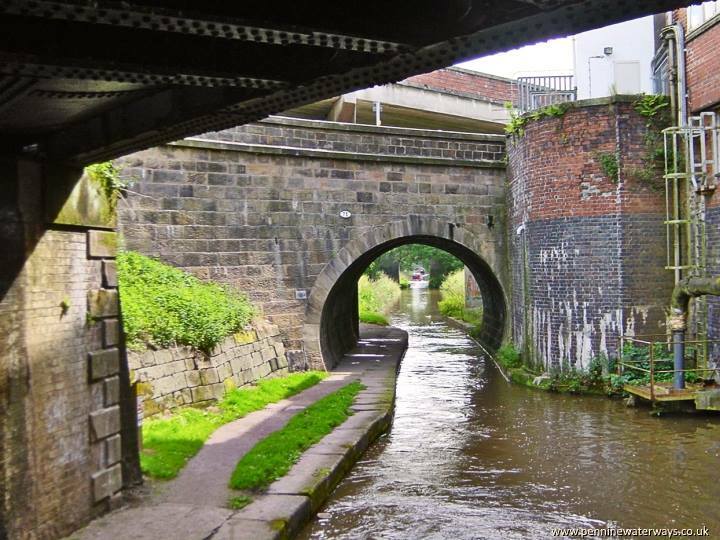 The railway bridge carrying the main Manchester to London line across the canal at Congleton. The railway station is a short distance away to the left. 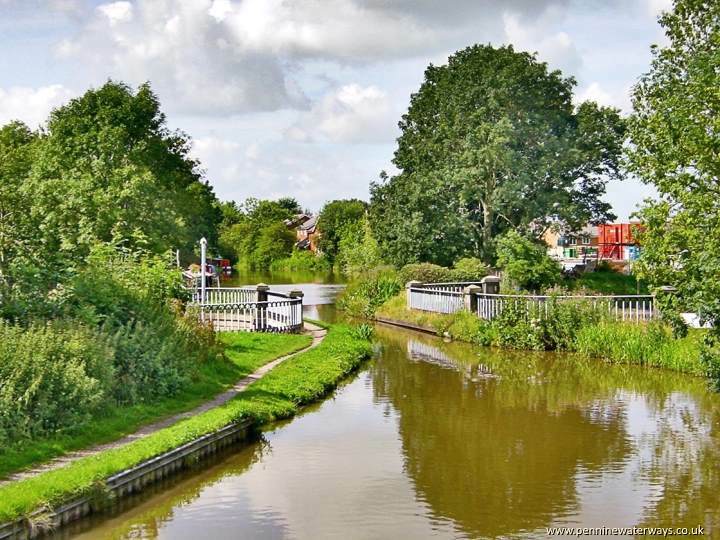 A short distance from the railway bridge, the towpath switches wides again at Morris Bridge, Congleton. 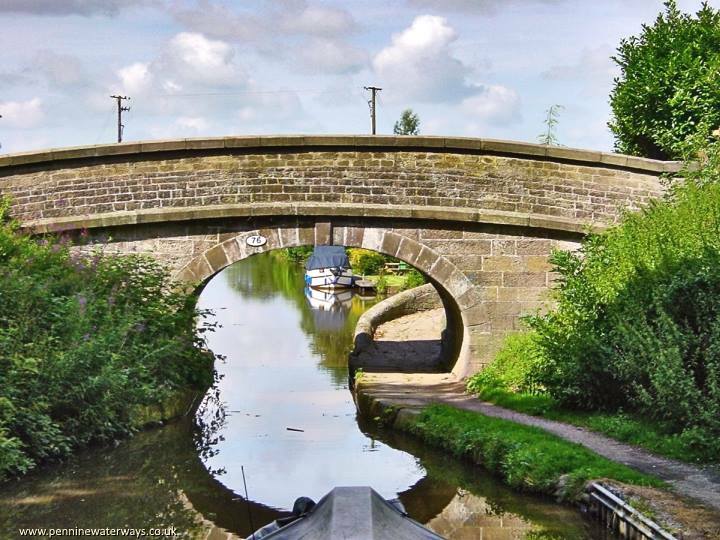 Morris Bridge, another of the Macclesfield Canal's "roving" or "snake" bridges. 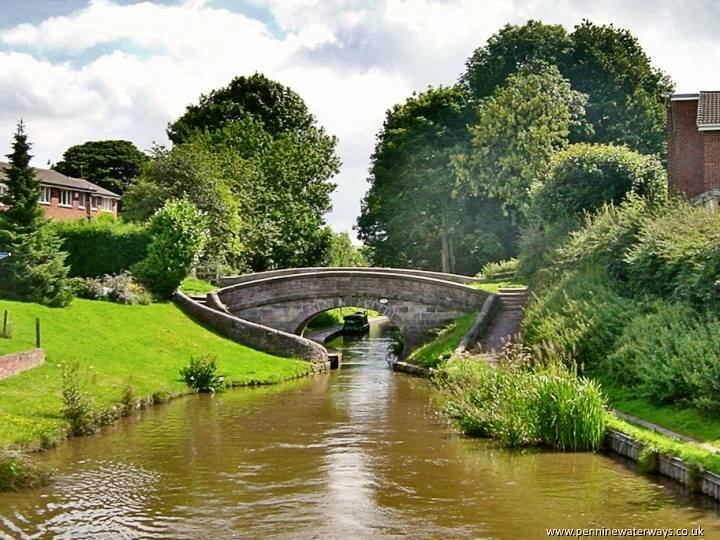 The canal bends to cross the aqueduct across Canal Road, Congleton.